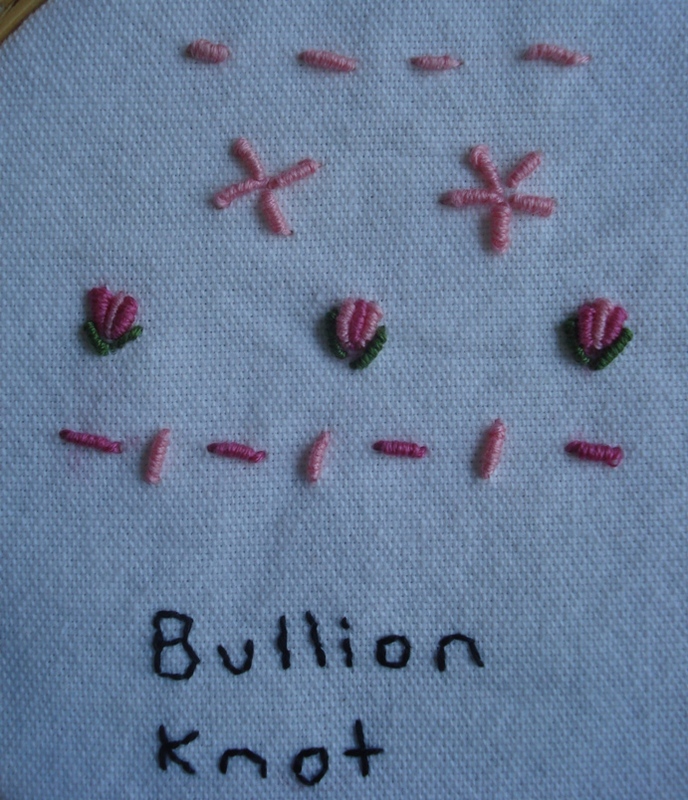 The stitch for week 20 of TAST is the Bullion Knot stitch. I have wanted to try this stitch for a long time. One of the things I like about TAST is that it forces me to attempt new stitches. I enjoyed working with the Bullion Knot and look forward to trying it again. I like that about TAST too. I was fascinated with the post below about bento, not heard that before. Cute food man. I agree, the TAST project is great to ‘force’ us to use stitches we are unfamiliar with and all participants works give me a lot of inspiration. Isn’t TAST fun!